We're going pretty indie this week. Pardon our skinny jeans. Adam Riske: Angel Heart (1987, dir. Alan Parker) I gave this one a shout out in my underrated horror movie column last October; if you haven't watched it yet, now is the perfect time! 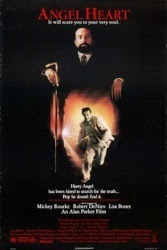 Alan Parker's Angel Heart is a stylish, moody and interesting murder mystery with strong performances from a still-trying Mickey Rourke, a Martin Scorsese-impersonating Robert De Niro and a Hillman College bound (?) Lisa Bonet. I wish they made movies like this in 2014. It's the type of movie you stumble upon and say to someone on Monday at work "Have you ever seen a movie called Angel Heart? It was weird." 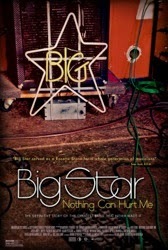 Erich: Big Star: Nothing Can Hurt Me (2012; dir. Drew DeNicola, Olivia Mori) This documentary tells the story of one of the best bands to never made it big. The Memphis rock outfit who named themselves after a local supermarket seemed poised for greatness on the heels of a killer debut and critical buzz, but label mismanagement spoiled their success. The band soldiered on with shrinking line-ups through a couple more albums, finding new life much later through the many big artists they influenced. If you've never heard #1 Record and Radio City pick them up immediately, then watch Nothing Can Hurt Me. The doc has a light touch when it comes to the band's interpersonal struggles, but it can be forgiven considering how long it took Big Star to get the audience they deserve. Here's hoping Nothing Can Hurt Me adds to their number. Heath Holland: El Infierno (2010, dir. Luis Estrada) El Infierno tells the story of Benny (played by the fantastic Damian Alcazar), a Mexican who has been living in America for twenty years and is deported back home where he struggles to carve out a life for himself. Faced with few options, he drifts deeper and deeper into crime. It's a shame that the title Once Upon a Time in Mexico was already taken, because that title befits this film far more than Robert Rodriquez's movie of the same name. It's a movie with something to say about the world we live in and about people and the choices we make. The violence is realistic and upsetting but never gratuitous. Yet this film was branded with an NC-17 by the MPAA in America, ensuring that most casual movie-goers would never see it. I've seen worse in countless American films, including pretty much any Martin Scorsese movie that isn't about French kids and Georges Melies. I really sense a double standard with the MPAA here (at best it's skittish, at worst it's irresponsible), but I want to give Netflix kudos for making this a part of their streaming offerings. El Infierno is the third film in a loose series from director Luis Estrada that all star Damian Alcazar and take a darkly satirical look at some aspect of life and corruption in Mexico. It may sound like an intense experience but it's an easy watch. Estrada is a great filmmaker and I was engaged for the entire 2 1/2 hour running time. Don't be put off by the rating or the length, El Infierno is a great crime film worthy of your time. JB: The Trip (2010, dir. Michael Winterbottom) I recommended this movie way back in the very first "Netflix This Movie" column, but my friends at Netflix informed me just this week that SOME OF YOU have not watched it yet. Not only is this one of the funniest movies I have seen in a long time, but it is also a movie that has stayed with me, and I quote random bits of dialogue from it all the time. "She was only sixteen years old!" 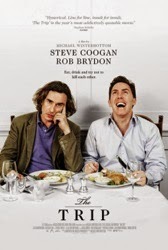 A celebration of friendship and good cell phone coverage, The Trip features Rob Brydon and Steve Coogan, essentially playing fictionalized versions of their real-life selves. This all started as a television series in England; the feature film is an abridgement of the strung-together television episodes. When I first saw the film, I only knew Steve Coogan from Hamlet 2 and Tropic Thunder. His more recent, magnificent performance in Philomena is another reason to revisit this film. Now that A SEQUEL has been announced, you have yet another good reason to watch the original NOW. Patrick: The Dirties (2013, dir. Matt Johnson) I reviewed this last year after seeing it at the Chicago Critics Film Festival and being really surprised/impressed by it. Then it took months to get even a limited release and didn't get talked about much, which is a shame. It's terrific. Much as I want everyone to go read my review, you should watch the movie first -- the less you know going in, the better. I first saw it knowing nothing but its title. It's a found footage movie, but don't let that put you off -- it didn't bother me (probably because it finds ways around those tropes and even comments on them) and I mostly can't stand those things. 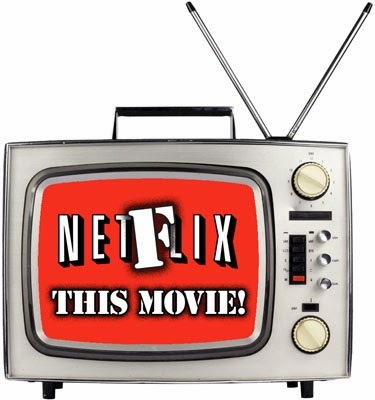 I'm hoping that the movie finds an audience on Netflix. It deserves to be seen and talked about. Glad to see The Trip getting some love. The sequel Tv series (The Trip to Italy) has already started and its just as good, so far. "Sleep well my brother, Sleep well my sister, but please do not sleep with my sister." "Leave my sister out of it, alright"
Ever since you talked about it way back when, Patrick, I've wanted to watch The Dirties, I just could never find a place to see it. I'm glad it's now on streaming. From what I know of it (which is very little) it sounds like it has potential to possibly be intersting and powerful. Good call on The Dirties, Patrick - just watched it and then went back and read your review (which I purposely skipped at the time) - very true that it just somehow doesn't matter that the "cameraman" goes basically unnamed and unexplained. And Matt Johnson's character/performance could easily have felt grating and contrived but instead comes off believable and at least semi-endearing. I really liked it. Be sure to stay for the fun credits! That is so awesome! Rarely do I think the end credits are one of the coolest parts of a movie, but in this case, they really were. The fact that you can get this custom box art is like icing on the cake. The movie was good, too! As I was watching it I actually thought it felt vaguely Canadian but couldn't pick out any particular reason to think so - must've subconsciously picked up on their accents or something. I'd love to support these guys - but which cover to choose? 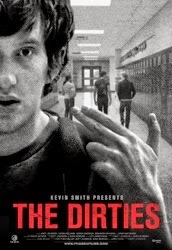 Just watched the Dirties. Wish I hadnt read the mini blurb on Netflix as it pretty much reveals the end point, but besides from that it was really good. Thanks for recommendation.